Free delivery for this product when ordered with boilies. Fully loaded spod mix contains the same powdered aminos and complex liquids used in our famous madine mix. 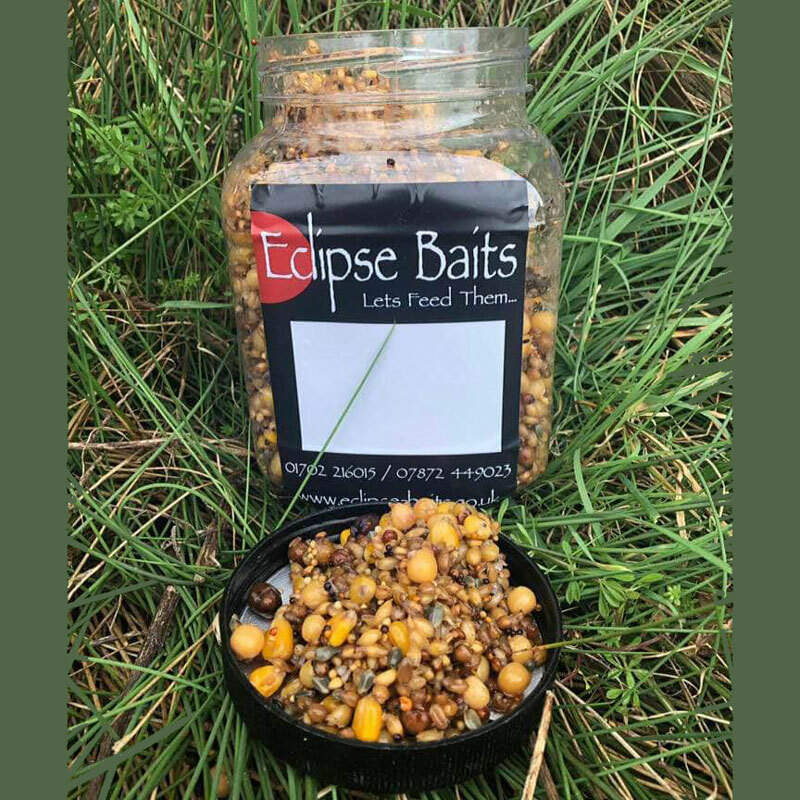 Which promotes an incredible feeding response that has been the downfall of some huge carp accross the globe. It was instrumental in Dave Poxon and Mark Reddings incredible 1st place in the 1999 world carp classic at Lac de Madine. Each tub contains a carefully prepared blend of red dari, wheat, barley, maize, tares, saff seeds, white peas, maples, buckwheat and corn. Which are totally P.V.A. friendly and preserved by a completely natural process ensuring no chemical preservatives are necessary. We recommend using within 6 weeks once opened to maintain maximum freshness. 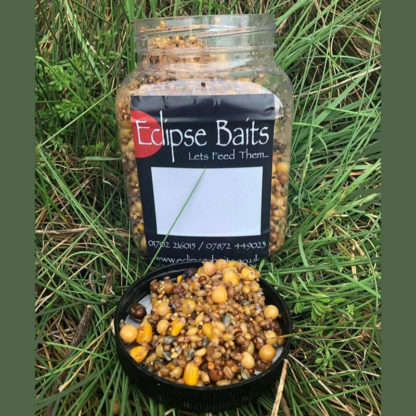 Supplied in convenient 2.5kg screw top jars they are a serious edge for anyones bait armoury.